Photography is a relatively new discipline that involves capturing a scene using a lens to focus light onto film or the CCD of a digital camera. Since it’s invention in the 19th century, photography has become one of the world’s most popular hobbies, and cameras are as ubiquitous as jewelry when phones and laptop computers with built-in cameras are added. 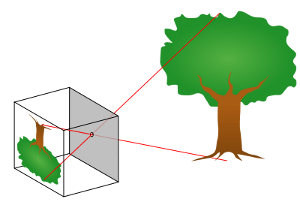 As long ago as the 5th century BC Chinese philosophers were experimenting with pinhole lenses and creating cameras obscura, a technique that enabled a dark room to display a color reverse image of the scene outside the room using light entering a pinhole lens. A hundred years later in Greece Aristotle also described a pinhole camera. Historians believe the very first camera obscura ever built was created by an Arab scientist in Cairo by the name of Ibn al-Haitham who lived between 965 – 1039. His research allowed him to observe that light travels in a straight line and that the speed of light was far beyond his ability to measure. the principles described by al-Haitham were instrumental in helping later generations grapple with the theory of light. By the time of Europe’s renaissance cameras obscura were being created in boxes about the size of a television and the image displayed on a panel above using diffraction and mirrors. Artists of the era would carefully trace the scene they saw and then transfer the sketch to canvas, a technique that enabled the commercialization of art and sped up the process of painting, something that was particularly important in portraiture. Historically, the art and science of photography dates to 1825 when Joseph Niépce, an inventor in France took the very first known photograph of the view outside his bedroom window. His image wasn’t clear and sharp, and is barely recognizable other than for the shapes of buildings and a tree. Niépce used a camera obscura and a polished metal plate that had been treated with bitumen which hardens when exposed to light. The bitumen was dissolved using lavender oil and then coated onto the metal plate before being placed inside the dark camera obscura. Unfortunately bitumen takes a considerable amount of time to dry and Niépce’s first image took 8 hours to develop, with more complex images taking considerably longer. Shortly after Niépce partnered with Louis Daguerre who had discovered that silver and chalk also darkened on exposure to light, but was a cleaner method producing better quality images. By 1839 Daguerre patented a system of fixing an image onto a metal plate using iodine vapor on the plate before taking the photo, and then using mercury fumes afterwards to fix the image. During the 1830s a number of inventors came up with different methods of exposing images onto plates yet it wasn’t until 1840 and the invention of the calotype process that things really started to get interesting. Fox Talbot, improved the silver plating method using paper and silver oxide allowing him to create the first negatives that could be used multiple times to create positives, images that are oriented correctly to the viewers perspective. Cameras began to be produced in reasonable volume using Talbot’s techniques that whilst improved were substantially similar. Demand from the public was enormous and almost every major town soon found itself with at least one photographic studio for family portraits. Most were simple affairs, a white wall and some basic props, but amongst the emerging middle classes there was also demand for themed photographs with drawing room or palatial backgrounds. Since all photographs taken in these times were black and white or grayscale, photographers and painters would use colored ink to color in parts of the photo and create the illusion of a colored portrait. Skin tones rarely matched the person being photographed yet the popularity of this technique wasn’t eclipsed until the development on color photography in the early 20th century. The greatest development in photography came about when George Eastman created a dry gel that could be applied to paper or film and more importantly, didn’t require the photographer to carry bulky plates and chemicals, in fact the greatest advantage was that a photograph could be developed later in specially built laboratories. 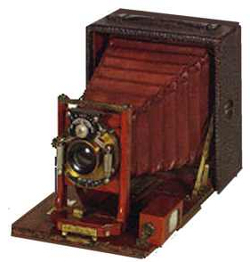 Eastman named his first camera the Kodak in 1888, but in 1901 revolutionized the industry with the development of the Kodak Brownie, the world’s first mass market camera. Color photography wasn’t available until the late 19th century although the methods of capturing color involved a lot more effort and preparation than black and white and was generally restricted to inventors who advanced the technology but weren’t able to commercialize their inventions. In the early 20th century this had changed and several photographers including amateurs were using a method known as Autochrome to take color photographs. The true breakthrough in color photography happened in the mid 1930s when Kodak and Agfa both made available their new color films, Kodachrome and Agfacolor using multi-layered film and the subtractive process. These same brands remained popular until the advent of digital photography in the 1990s. 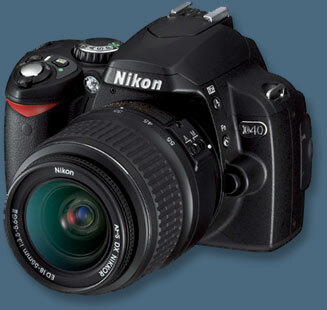 Digital photography has now replaced film as the medium of choice for most consumers and professional photographers, and the first digital cameras capable of reasonable resolution first hit the market in 1991 from Kodak but were priced at levels that only professionals with a definite need for digital could afford. Consumer point and shoot digital cameras with megapixel CCDs didn’t become available until 2003-2004, not too long ago at all, yet their introduction effectively spelled the end for film based cameras, the majority of manufacturers having now switched production to digital formats.